WHAT IS FLYING CAPE COMPASSMAP? CompassMap seeks to give learners a research-based and practically applicable framework for navigating the continuous learning they have to do throughout their lifetimes. For more details, please refer here or watch the video. WHAT IS THE COMPASSMAP BASED ON? CompassMap is a summary of all known and relevant research available at this point. It has also been positively reviewed by over 100 senior educators each with at least 10 years teaching experience and/or have illustrious career training other educators globally. This includes educators such as Dr. Guy Claxton, Dr. Branton Shearer, Mr. Daniel Porot and Dr. Henry Toi. IS THE COMPASSMAP FRAMEWORK EXHAUSTIVE? Flying Cape has done extensive work to validate and cross-reference known and relevant academic research. We will continue to update the framework as more research, applications or solutions become available. HOW DOES MULTIPLE INTELLIGENCE COME INTO PLAY WITH COMPASSMAP? (a) In learning the subjects taught in school (i.e. COMPASSMAP’s ACADEMICS), a person with a high Music ability (MULTIPLE INTELLIGENCE’s MUSIC SMARTS) may wish to use rhythm and rhyme as a technique to understand and remember the required curriculum. 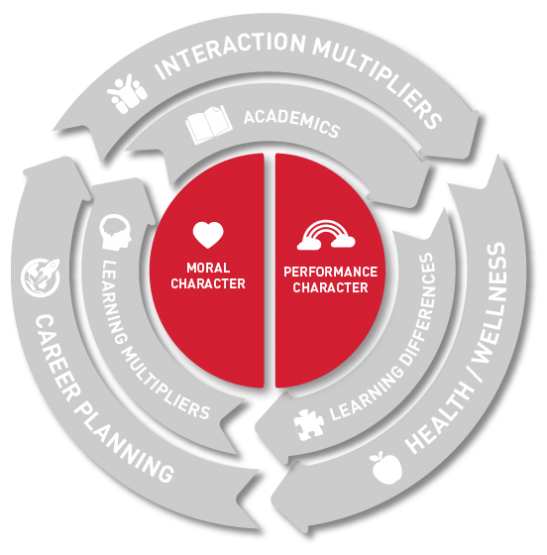 (b) In choosing a career (COMPASSMAP’S CAREER PLANNING), a person with a high Word Smart ability (MULTIPLE INTELLIGENCE’S LINGUISTIC) may choose to major in languages and pick up techniques such as negotiation and public speaking to enhance his natural strength and interests so as to do better in related career choices. 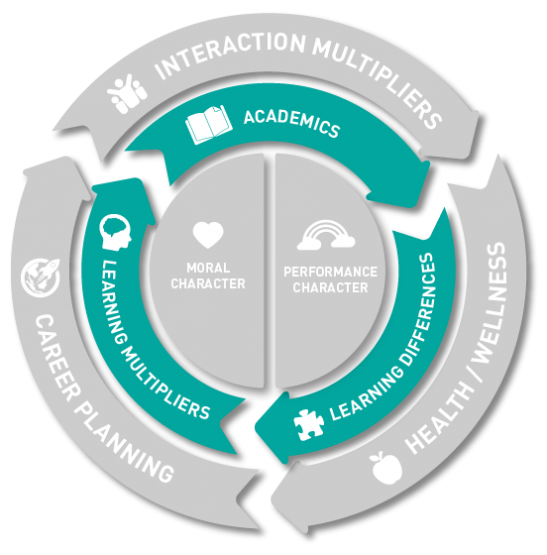 HOW DO HABITS OF MIND COME INTO PLAY WITH COMPASSMAP? Habits of Mind aims to help develop the disposition towards behaving intelligently when confronted with problems. It is represented in CompassMap’s Performance Character category. HOW IS COMPASSMAP RELEVANT TO A PARENT OR STUDENT? 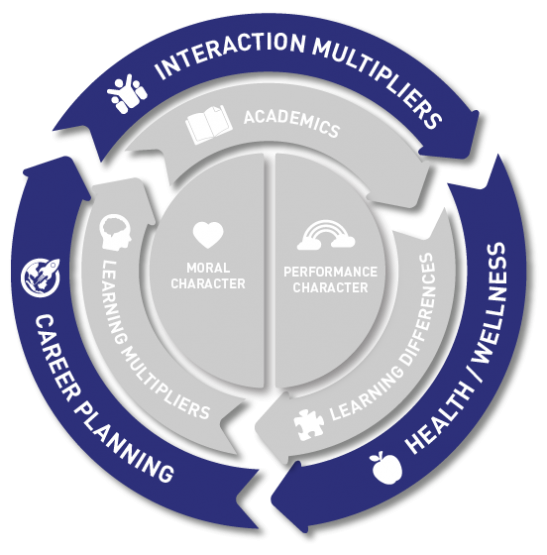 CompassMap aims to provide a better understanding of what makes up a holistic education. With this knowledge, coupled with tools provided on the platform, we hope that parents will be better equipped to direct a child’s learning according to his/her unique interests, strength and learning style. Here are the 3 steps to maximise the use of this research. Use the step by step guidance as explained in the Flying Cape’s SMART Journey to help plan a personalized learning path for your child. Search for specific classes, activities using the ADVANCED SEARCH button at www.flyingcape.com.sg which has classes tagged against CompassMap and Multiple Intelligence methodologies. WHERE CAN I GO FIND OUT MORE ABOUT YOUR RESEARCH? Attached are some useful references and resources from research done on the various elements of CompassMap. The Good Project. Read here. Is character the key to success? Read here. 7 traits kids need to succeed. Read here. The puzzle of motivation by Daniel Pink. Watch here. Arthur Costa and Bena Kallick (Habits of Mind). Read here. Books: How Children Succeed? By Paul Tough. Read here. Read about the Singapore syllabus for Primary and Secondary schools here. Book: Why A Students Work for C Students and B Students work for the Government (2012) by Robert Kiyosaki. Read here. Building 101 Ways to Learning Power (2006) by Graham Powell, Guy Claxton and Maryl Chambers. See Guy Claxton’s citations here. Building Learning Power: Helping Young People Become Better Learners (2005) by Guy Claxton. Read here. Future Wise: Educating Our Children For A Changing World by David Perkins. Read here. Academic Tenacity by Carol Dweck, Gregory Walton and Geoffrey Cohen. Read here. The Relationship of Growth Mindset and Goal-Setting in a First-Year College. Read here. Best-selling author Richard Bolles in the job-hunting bible “What colour is your parachute”. Read here. Career specialist educator Daniel Porot in his globally acclaimed lecture series have both highlighted career fit as a key component to career success. Read here. Why Communication Is Today’s Most Important Skill. Read here. Why is it important to communicate well. Read here.